June 10, 2011 Adri H.
Using a different color scheme and different yarn can really change the effect of a fairisle pattern. As you can see from Protoype 1, color makes a huge difference! Prototype 1 was knit with DROPS Alpaca and Lang Yarns Baby Alpaca. Alpaca hides some of the stitch definition giving the mittens an aura of softness. They're also really really warm which is nice. The colors are closer together in hue, so it also makes the design blend together and harder to see the details. Prototype 2 was knit with some scraps of Wollmeise Twin from when I knit Little Birds. 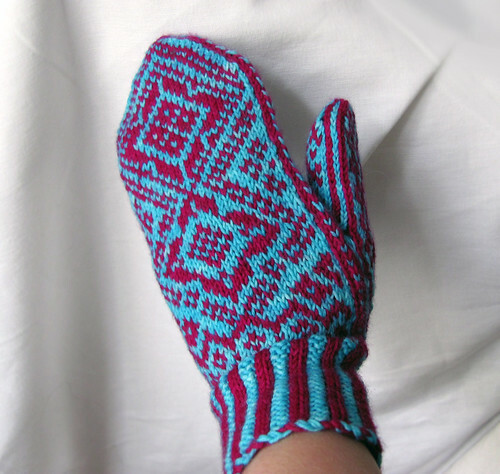 Wollmeise is a sock yarn and is slick and very defined giving the mittens a really graphic, sharp look. The colors are a pairing of 2 very contrasting colors and man, does that motif pop! The colors almost vibrate. 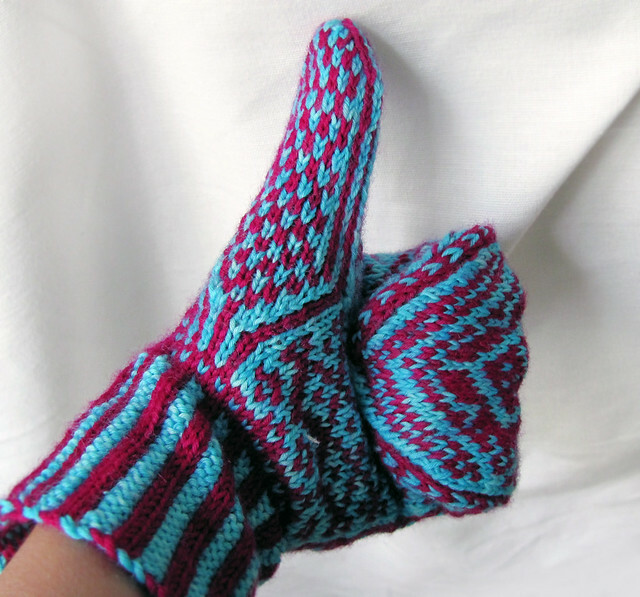 The Hopi Mittens are still currently in testing. Look out soon for a link to the upcoming pattern!